Artemis is a facial oil I reach for daily so I'm a bit surprised with myself that I haven't been bothered to write about it until now. The dropper bottle of yellow tinged oil brings a little bit of joy to my day because I'm just so darn fond of it. I love the slightly lemony smell, the thick texture and above all, the fact that it's positively packed with delicious, skin nurturing oils that leave a gorgeous glow. Pomegranate Seed Oil- Improves skin texture, contains high levels of anti oxidants and is rich in Vitamin A, C, E and K. A good all rounder really. Milk Thistle Seed Oil- Combats redness and is increasingly included in herbal anti-acne products. Pink Grapefruit Essential Oil- Conditioning and high in Vitamin C to revitalize the skin. Black Cumin Seed Oil- An anti inflammatory oil that's known for its effectiveness in combating acne. It's also rich in moisturizing fatty acids and allegedly fights infection. Lemon Ironbark- Part of the Eucalypt family, Lemon Ironbark is soothing, calming and is responsible for the lemony scent of Artemis. Lemon Myrtle- An Australian medicinal oil widely used for its cleansing and purifying properties. It grows naturally in Queensland (where I'm from) and New South Wales and is a natural antiseptic. Flax Seed Oil- Rich in Omega 3 fatty acids. Anti inflammatory. One of the most interesting things about Artemis is that it is particularly good for combination skin types, congestion, and those with oily complexions. 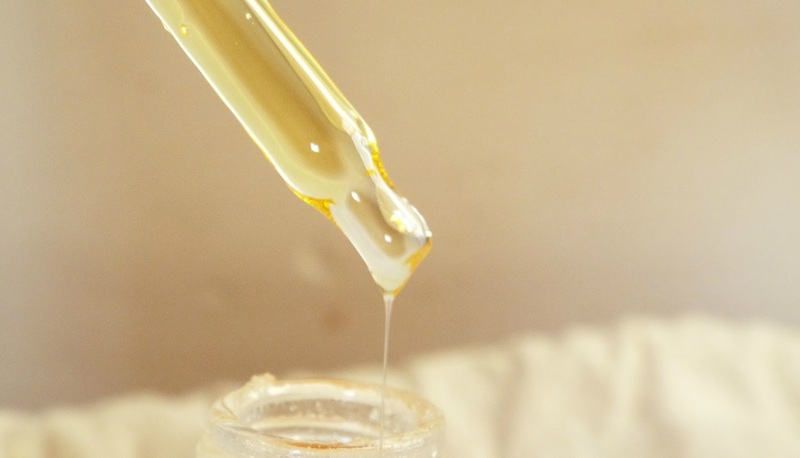 While the thought of putting oil on an already oily face may seem like a big no no, so long as they are the right oils, it can have a great effect in clarifying and clearing the skin. I suppose this is why Artemis has become a firm favourite among oily/combo skinned folk- if the reviews are anything to go by. A little bit of this oil really goes a long, long way - I use about a fifth of a pipette/ one drop for my whole face- and the dry oil formula means it absorbs beautifully, leaving you with a slightly dewy glow rather than an oil slick. 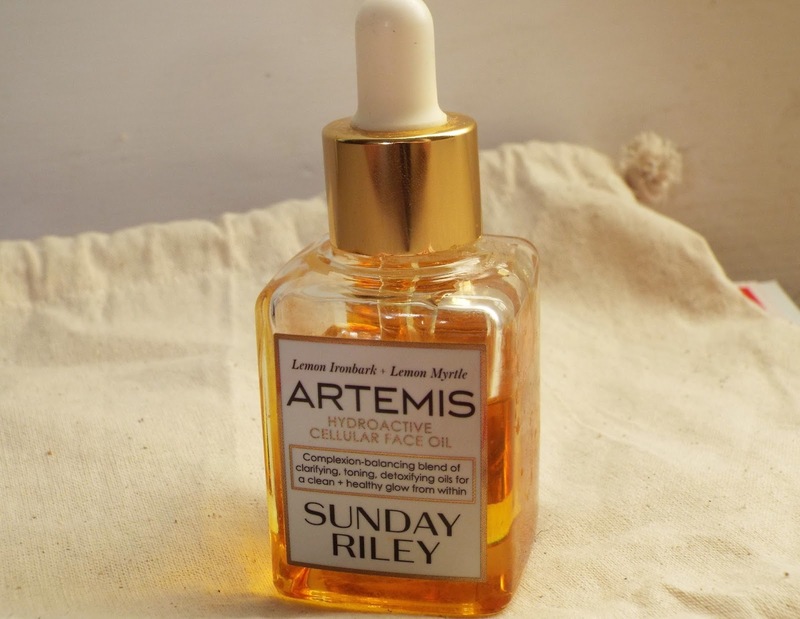 You can find Sunday Riley Artemis Hydroactive Cellular Face Oil at Space NK, Cult Beauty, Net a Porter and Blow Ltd for £60 for 30ml.